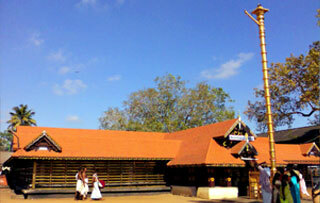 Kottarakara Ganapathy Temple is one of the famous temples in south india with great historical importance. 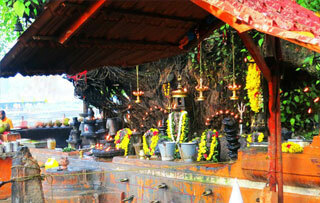 There are many legends about Kottarakara Ganapathy. This very ancient pilgrimage center is centered on the Para Brahma temple that is devoted to the Para Brahman or Param Brahman or Ohmkaram (The Universal Consciousness) and covers thirty six acres of land. 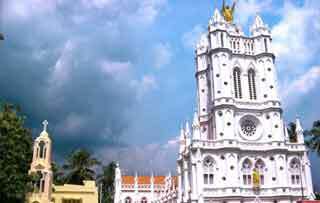 The Infant Jesus Cathedral is a historic Roman Catholic church established by Portuguese during 1614, situated at Tangasseri . The Church remains as a memento of the Portuguese rule of old Quilon city. It is modelled on Taj Mahal, Agra - a mix of persian, central asian and Moghul architecture. 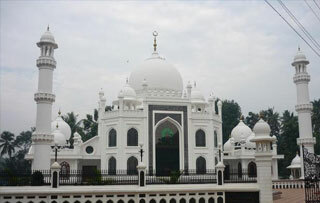 The domes and minarets give perfect symmetry and heirarchy.The archway is decorated with calligraphy of Quranic verses.